Yoga on Grace Bay Beach with Glow Fitness. The beautiful Grace Bay Beach is an excellent setting for practicing yoga. The Turks and Caicos offers a small yet select collection of yoga and fitness studios, with many locations being located in the Grace Bay region of Providenciales. It’s difficult to find a more tranquil setting to practice yoga at than on one of the spectacular coasts in the Turks and Caicos. Many local yoga studios take advantage of this, and host outdoor sessions on or overlooking a relaxing stretch of beach. If you’d prefer the comfort of air conditioning, one of the indoor yoga studios is an obvious choice. Local studios offer regularly scheduled classes for all skill levels, both outdoors and inside, and many are happy to do private sessions at vacation rentals, accommodations, or on the beach. Every studio and resort centre has their own tailor-made fitness or holistic programme, which may include elements of yoga, Pilates, massages therapy, vegan dining, or meditation. Yoga and Pilates are great for stress relief and muscle toning, in a non-impact and pain-reducing way. Retreat Yoga Studio at the Ports of Call Plaza in Grace Bay brings together fitness and healthy dining, with a boutique shop and Retreat Kitchen, a vegan restaurant that serves organic and raw snacks and meals. Glow Fitness is another popular local studio, and offers a wealth of classes on yoga, Pilates, spinning, and Thai yoga massage, with shared and private class options. Glow Fitness also commonly hosts outdoor meets as well on the beautiful Grace Bay Beach. Massage therapy is a great counterpart to a fitness workout, and many studios on Providenciales offer the service. 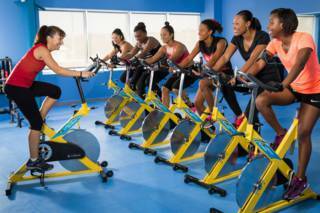 A great aspect of fitness in the Turks and Caicos is that the spectacular environment is imply conducive to staying fit. There are so many great water sports and activities that offer a great workout, including stand up paddle boarding, kayaking, open water swimming, cycling, and even snorkelling, which are the perfect complement to the more tranquil fitness practices. Yoga and Pilate classes in the Turks and Caicos are often small or private gatherings, so making advance reservations is highly recommend. Private and group sessions are both typically available. 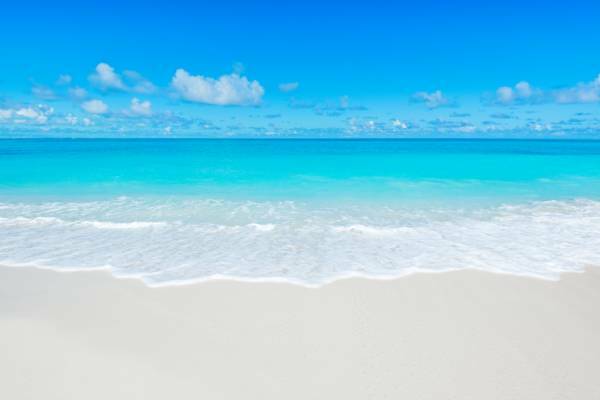 The Turks and Caicos experiences predictable fluctuations in visitors, with the winter months being the ‘ high season’ with peak arrivals. As is the case for most accommodations, activities and charters, availability can be limited during these months. Many local studios and fitness centres offer monthly and annual memberships, which is typically a great value if more than a few sessions per month are taken advantage of. Memberships may not make sense for short stay visitors, yet should be considered for residents and guests on extended stays.